Computer Network contains various aspects to cover. With networking seemingly a complex concept, there are other numerous day-to-day issues faced by the users. These issues are mostly fixable from a user, while some require expert networking agents to fix. Talking about computer networks, one of the main concepts of operation is DNS (Domain Name Server.) A DNS server works mainly to translate complex IP domains with the collaboration of IP address. While the aspect having is importance, DNS prone errors are extremely frequent and imminent in the setup. 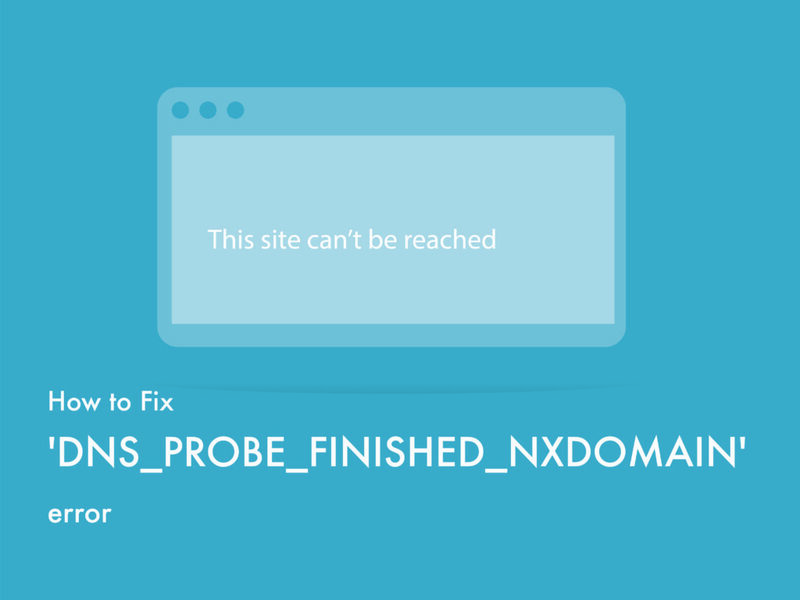 One of the most commonly seen errors featuring the concept is DNS_PROBE_FINISHED_NXDOMAIN. This is one of the common issues seen by almost all the regular computer users once in their usage cycle. The message comes in common web browsers, leaving the users to not be redirected to the target website. What Is the Issue All About? DNS_PROBE_FINISHED_NXDOMAIN issue starts due to mismatching of IP address with the DNS of the computer. To be more technical, DNS converts the entire message from the domain end in the form of an IP address. The real problem arises when a person feeds in URL in their browsers; it is up to DNS to search the server with the appropriate IP address of the server. While in a general case, the searching process redirects to the target site, but on DNS failing, this will result in errors. This is when a browser flashes up the message “DNS_PROBE_FINISHED_NXDOMAIN” error. DNS errors are usually flexible from the users themselves. All they require is to follow a few generic steps, which will troubleshoot these prolonged errors in no time. Thus, some of the tested methods that assure on DNS_PROBE_FINISHED_NXDOMAIN error get resolved. By Restarting DNS Client Service: DNS errors are addressed in various ways. The most common way for Windows O/S user is via resolving cached DNS server files. Option 1: Open up the Command Prompt window using key combinations of Windows Key+R. As soon as the terminal opens up, type services.MSC will immediately lead to the local Services Page. Once in the page, the user will search the DNS client option, where on a right click, there will be an option to restart, which is to be exercised. By performing the function, the cache files in DNS names will be refreshed and the errors might be removed. Option 2: Alternatively, depending on the Windows O/S versions, the other way involves using the command prompt to resolve the issue. All a person requires is to search “cmd” or “command” in the run tab, which will open up the DOS layout. In this interface, typing “net stop dnscache” and “net start dnscache” will do the refreshing of DNS files. Step 2: Clicking on the Network and Internet option, this will open up loads of other options. Step 3: Next click on the “Change Adapter Settings” option, this will show the current network connections. Following the process, click on the properties option, under the Local Area Connection options, which comes for wired connections. For wireless connection, click on the Wireless Network Connection options. Step 4: Next option involves displaying the IP version box. On clicking the same, a box will open to change preferred DNS server and alternate DNS servers as well. For users with IPv4, the Google DNS is 8.8.8.8 and 8.8.4.4 respectively. Step 5: In the end, restart the browser to see the change. Step 1: Open System Preference bar, situated on the left-hand top of the screen. Step 3: In the final step, adding the IPv4 DNS address from Cloudflare, 1.1.1.1 and 1.0.0.1 will complete the setup. Checking Local Hosts: Local hosts files is present across all computing In this file, the manual DNS records are present, which is mapped with a particular IP Address. The only way to amend the same is while previewing the DNS before changing domains. This is an effective measure to combat DNS_PROBE_FINISHED_NXDOMAINS. However, for approaching the same process, it is different for various O/S today. Step 1: Unlike any other previous resolving strategies, this requires a little understanding of using other applications. For instance, the first step requires running a notepad, which can manually be searched up in the start menu. Step 2: Instead of opening up the file, the process requires the file to run as administrator. Not just Notepad, this can be alternatively performed with any other text editor powered applications. Some text editors such as Atom, Sublime, and Notepad ++ can be used. Step 4: With the operation completed, the next step involves choosing the hosts file, which will contain the details of the sites visited. Step 5: Finally, remove if any site to be visited is mentioned. These are responsible for triggering errors in the site’s main page. Step 1: MAC users have the cushion of using a dedicated app called as Gas Mask, which performs all the tasks, related to filing management. More importantly, the app is free of cost and easy to install. Gas Mask also works to modify hosts files as well as a trigger task between these files. Step 2: However, for regular users, there is a simple solution as well. The process requires opening up the Utilities option under the View tab. Step 3: Under the Utilities option, a new page opens up with various options. Choose the terminal option. However, it is to be noted about the system asking admin password now. Step 5: This page will show the hosts file with the details of the sites visited. Step 6: Finally, as like for windows, remove if the site intended to be visited is present on the page. This will complete the proceedings immediately. Checking the DNS of the User Domain: DNS issues’ being common is something common, which happens affecting various domains. However, there might be a specific issue for a single out domain as well. Suppose the user tries to browse though a particular site and ends up getting the DNS_PROBE_FINISHED_NXDOMAIN This might be because of the domain name itself, whose DNS settings was cached incorrectly in the PC. 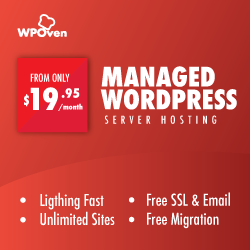 Thus, if the user might have shifted the webpage under a new host provider, the previous caching was mapped incorrectly to the PC. To resolve the issue, restarting DNS client service is the solution. With the revoking DNS, the mapping and newer cached files take up the place against the old files. Release and Renewing of IP Address: This is one of tried and tested solutions in networking topics. With the concept, it takes up to flush the old cache and reset with newer IP address. This is extremely handy in situations, which sees outdated or corrupt cache file storage. For troubleshooting, both Windows and Mac devices have individual rules to speak. Step 1: Open up the run command by clicking Windows key and R. In modern versions, they can also be searched at the search bar present at the start menu option. Step 2: Write cmd and press enter. Step 3: Following the admin based command prompt page opening up, the next step features typing ipconfig/release on the command page. This process triggers to release the existing IP address. Step 4: Once the IP address is released from the system, follow the next step to release the DNS cache. Thus, type ipconfig/flushdns to release DNS cache. Step 5: In the next step, type ipconfig/renew, which will renew the new IP address to the system. Step 6: Type “netsh int ip set dns and click enter. This will reset the entire IP settings of the previous IP stored. Step 7: Type “netsh winsock reset” command. It will reinstated the Winsock Catalog. Step 8: Finally, after all the process is complete, restarting the pc will assure the problem gets resolved. Step 1: As mentioned previously, using Gas Mask is an easy way out for searching all system-related works. For the regular case users, the first step involves opeining up the system preferences options in the main window. Step 2: Following this, under the Ethernet tab, click on the advanced options. Step 3: For starters, with commands, it is required to click on the TCP/IP tab, which has an option to release a DHCP option. Thus, the process allows MAC users to clear out the local DNS. Step 4: MAC users can also clear the local DNS cache. This involves visiting the Utilities>Terminal page, where they will require to present the command. Step 6: Though, there will be no separate success or failure message popping up. However, in major cases, all these get removed without any major fuss. By Resetting Web Browsers: Web browsers have the major responsibility to transfer the data across the World Wide Web and the users. Sometimes popular browsers such as Google Chrome and Mozilla Firefox face stagnant Cache in certain sites. This is where resetting will come to great help. Google Chrome settings sometimes are complex, which results in changing up the DNS. For the purpose, using chrome://flags in the browsers will open up a page and Reset all to Default option will do the trick. After the task is complete, restarting the browsers will open up the desired websites with ease. Stopping Firewall/ Anti-Virus and VPN: A DNS_PROBE_FINISHED_NXDOMAIN error in web browsers occurs because of firewall actions. Even some antivirus embedded to track web browsers and VPN add-ons act to prevent browsing through certain sites. On temporarily, disabling the authority of any of the 3 mentioned software would allow bringing a change. Other Methods: Besides all the mentioned options, there are other fruitful ways to assure the error does not arise. One of the more common methods involves in updating network driver. Usually, all the computer motherboard has their vendors, which comes in CD or can be downloaded online. Since the LAN, port and network drivers vary among motherboards, they require being unique. The driver installation barely takes minutes and promises to remove the issues. DNS_PROBE_FINISHED_NXDOMAIN errors are perhaps the most frequent occurring network issues, faced by the users. The solutions mentioned are tried and tested, which has a minimal impact on the system while resolving the issue quickly. For a generic note, it is always recommended for all users to regularly cleaning up the network cache memories. Failing might cause problems concerning DNS components. So the next time, in case of the issue arising, try different methods mentioned.